Trust me there is a better drama that you could be watching.In chatting with some other drama fans they told me to not watch Hayate, but I couldn't listen to them. I said to myself "the anime was cool so let's try the live action!". I thought the first 2 episodes were good, so I just had to see the rest for myself. What an epic waste of my time and production money! First what I did like; they used pretty handsome people in the cast, there were also some really cool special effects incorporated in the story. 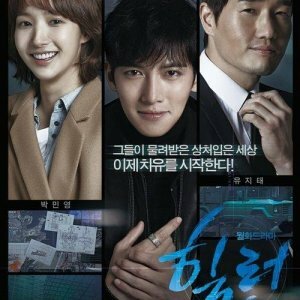 However, I hated that they had Park shin Hye with a voice over, I could never get used to it! I don't know if she was lost in translation because her acting was awful here. I kept thinking Maria should have been the female lead. I don't know if the episodes were just long or boring. I found myself skipping episodes, and just watching the very beginning and the very end. I didn't read the manga so maybe the story line in the drama is closest to the original, but I liked the anime way better. I think the drama had trouble staying true to the story that it was based on while trying to update it so it would be realistic and a hit. Maybe some things should never go live action. 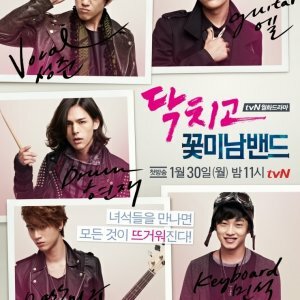 I actually watched this because of Park Shin Hye and also because it's from an anime manga/show. This was so epic, a little bit of unbelievable and it was funny. I loved the funny scenes and yeah, the story itself was fine. A bit confusing, and surprising scenes like about the royal jade and Xiao Zhi's grandfather. I love the music, I dont know why, I just love it. The acting was fine, but I've got to say PSH wasn't that good here. I hate the dubbing of her voice, it could have been better if she really spoke taiwan without dubbing. She doesn't even look like Nagi from the original anime. But besides that, I still think this drama is good. The story, the thrills, the epic(ness). The only downfall is the looks of the cast and the dubbing. "Hayate the Combat Butler" is basically a hilarious romantic comedy that is full of parodies and censorship. There are several obvious romantic interests among the characters yet not so relevant to the story, but it helps to give purpose to the narrative which in my view is very bad. The quality of cinematography is great for a comedy with characters that have the classic dramatic tone. 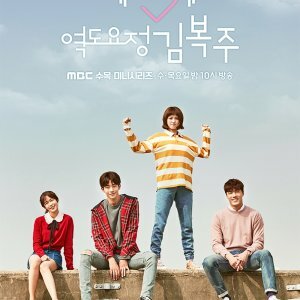 Compared to similar romance comedies that arrived at the same time the drama is yummy and vibrant, however, there are dozens of flaws and far more superior dramas. 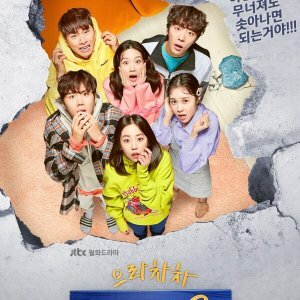 Overall, this is definitely a drama for fans of dramas adapted due to the amount of jokes, errors and performance related to these, the story is the weaker aspect and, after a while, it is quite tedious and repetitive. I must say, going into this I wasn't quite sure what I was getting myself into. I like George Hu and I've seen enough of Park Shin Hye to know she's a good actress, so I thought I'd watch this. Personally, the acting was spot on. George Hu and everybody else did a really good job. From what I've seen of Park Shin Hye, I always seem to watch the dramas where she plays a VERY naive innocent kind of girl, which is not a problem because she's good at it. The only thing that REALLY bugged me about this drama was the voice-over they had to do for Park Shin Hye. Because of that, I probably won't watch it again (at least not any time soon), but this was an enjoyable venture for me. The story was cute, the characters were well-adapted (I've never seen anything of the manga or anime, so I really have nothing to compare this to, but oh, well), and the script had just the right balance of touching, goofy, serious, and downright facepalm moments. I'd definitely recommend it if you like silly and somewhat ridiculous plot lines with a few touching moments on the side.